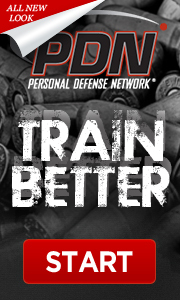 Innovative Defensive Solutions (IDS), llc, is a Northern Virginia based personal defense and firearm training company. Our mission is to teach intuitive defensive handgun skills that lend themselves to efficiently handling a firearm in ways that are congruent with the body’s natural reactions under stress. We hold classes on our home private range in Northern VA and on public ranges around the NOVA area. We also travel to host ranges around the United States providing our defensive handgun, home defense and specialized training packages customized to our client’s needs. In addition to the defensive handgun and home defense training in which we specialize, we also offer instructor development courses, pepper spray training, state-certified concealed carry courses and consulting services, which encompass a broad range of topics including but not limited to range development, range management, range officer operations and/or training, personal one on one coaching both for students of the gun and instructors of the gun, advanced firearm training, crime prevention, and carbine/shotgun training. Even though there are numerous avenues for the local general public to pursue competing firearm/crime prevention educational alternatives, IDS has enjoyed rapid and consistent growth. Classes are limited in size to guarantee individual competency and proficiency. Our clientele continues to grow simply by the recommendations of former students. IDS ensures that all existing/future staff members are experienced marksmen/instructors and insists that they maintain current certification with either the National Rifle Association (NRA), National Rifle Association Law Enforcement Division (LED), Utah Bureau of Criminal Identification (BCI), Combat Focus Shooting Active Status (CFS), Defensive Firearm Coach Active Status (DFC), or the Virginia Department of Criminal Justice (DCJS). All of our staff is heavily vested in their own development as teachers, and people who are serious about personal defense. Our cadre continues to train and evolve through continuing education course work, student course work and instructor development course work. We look forward to meeting you at one of our classes and thank you for choosing IDS as your number one provider for the vital skills necessary to confront today’s challenging environment.